The Sushi Making class is a treat for those who love all Asian cuisine. 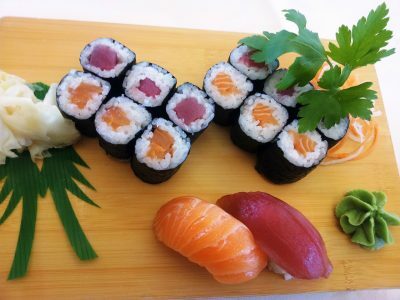 Not only will you have your own professional chef teaching you how to make the perfect sushi, but you will be able to taste everything after the course to have the perfect Asian experience! We provide all the equipment and ingredients for you, all you need to bring is yourself and get ready to take part in a cooking course like no other. This is a 100% participative workshop, so be prepared to get your chef hat on! 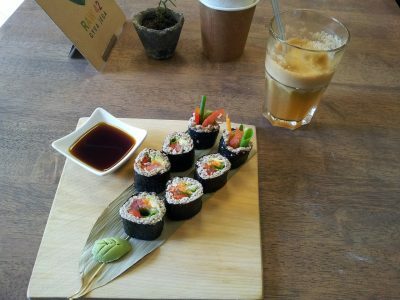 You will learn how to make perfect sushi rolls, their origin and how to make the perfect rice before tasting everything for yourself.